There is no workaround. 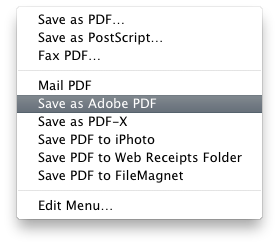 You need to update Acrobat to 9.1 and this will remove the virtual printer, replacing it with "save as Adobe PDF". I found that this would crash on me with 9.1, so carry on updating to 9.3.1 (current). Get your Acrobat updates from www.adobe.com/support/downloads/product.jsp?product=1&platform=Macintosh, but make sure you've got good broadband since getting from 9.0 to 9.3.1 takes 435Mb!